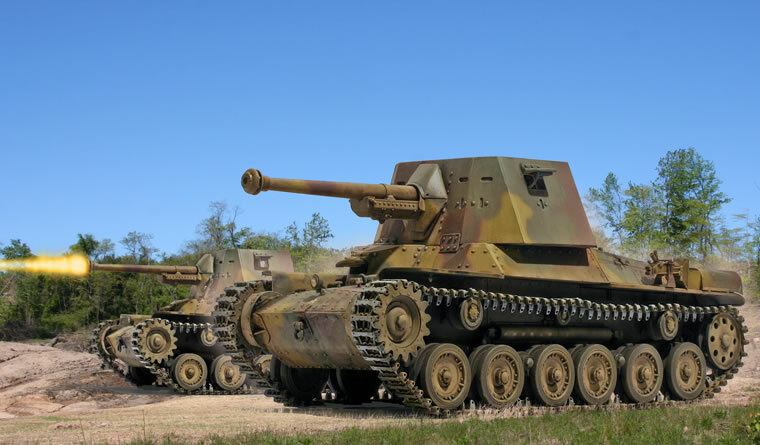 Dragon’s recent announcement of a new Type 2 Ka-Mi amphibious tank has brought some attention to the often overlooked field of Japanese World War II tanks. For the past several years, Fine Molds has been doing yeoman’s service in providing a very comprehensive series of 1/35th scale Japanese armor kits. 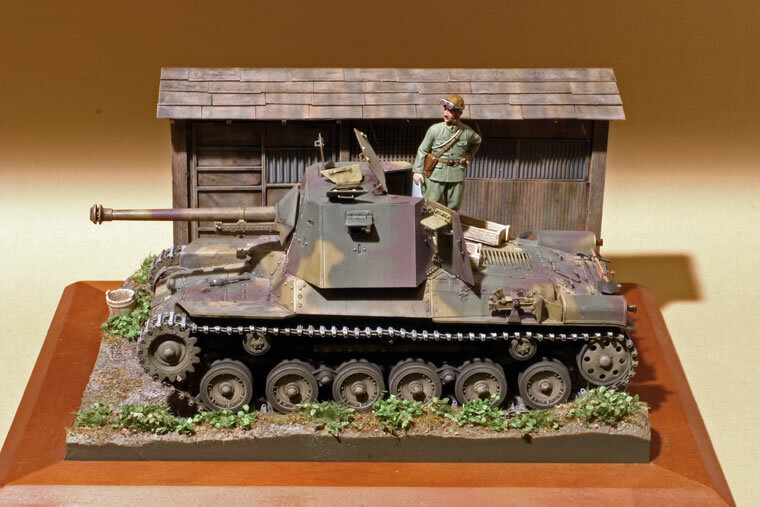 I recently tackled their kit of the Type 3 Ho-Ni 3 Gun Tank. The Ho-Ni 3 was one of the last of the Type-97 medium tank derivatives. 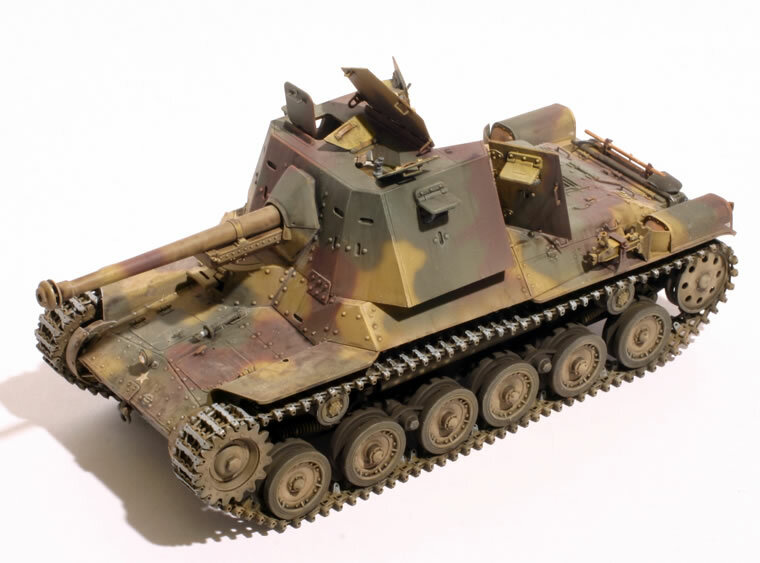 Although it is often regarded as a tank destroyer akin to the German Marder series, the IJA considered it a “gun-tank”, that is a conventional tank rearmed with a much larger caliber gun, but still intended to be used in the tank role to supplement the more weakly armed Type 97-kai Shinhoto Chi-Ha medium tanks. 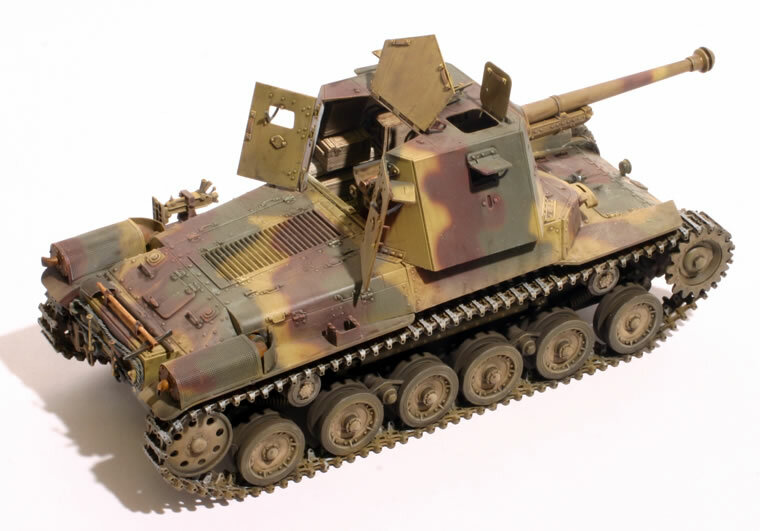 The Ho-Ni 1 as depicted in the earlier Tamiya kit saw action in the Philippines, but the Type 3 Ho-Ni 3 emerged too late for combat duty and was deployed in the Japanese Home Islands for the final defense. The Fine Mold kits are quite nice, though they are not a “shake-and-bake” kit like contemporary Tamiya offerings. They are a bit more involved in the construction, and tend to offer more detail. 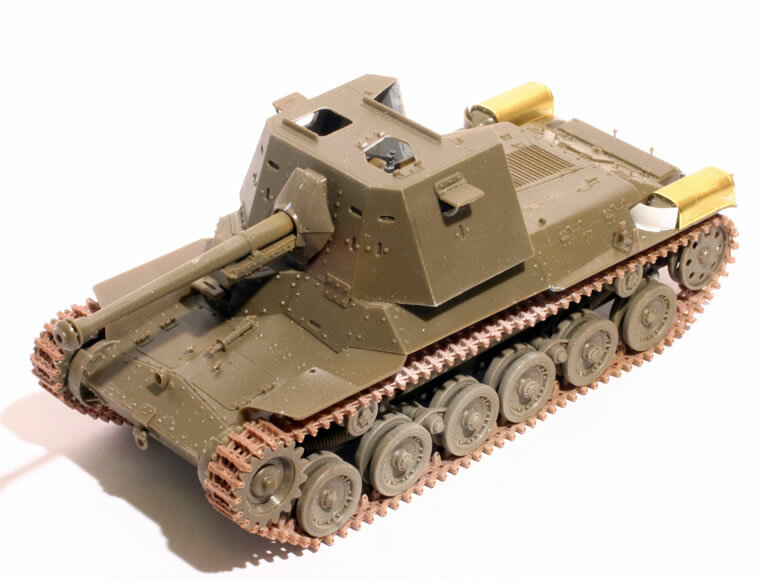 The Ho-Ni 3 is a variation of the previous Fine Mold Type 97 medium tank kits but with a new superstructure and gun assembly. They are a bit harder to find than Tamiya or Dragon kits, but I got mine at my local hobby store (Hobby Works in Bel Air, MD). Overall, the kit is extremely nice with very delicate detail. The tracks are the usual rubber band style, and I replaced them with the superb (but finicky) Model Kasten individual link tracks. The kit comes with an elementary interior for the superstructure, but no hull interior. I built a very basic interior based on the Ho-Ni 1 at APG and thinned down the kit doors and hatches. There is some controversy about late-war Japanese colors, especially the exact shade of the base color which also served as the primer: Parched Grass (Karekusa-iro). Most Japanese publications such as Armour Modeling have depicted this as a faded ochre somewhat like German dark yellow. The recent Gunze Sangyo CR603 color set includes a TC15 color which is much greener. The color chip preserved at the APG Ordnance Museum shows a very faded and greyer pale green. So with all this confusion, I compromised an mixed my own color, consisting roughly of half-and-half Tamiya XF-4 Yellow green and XF-60 Dark Yellow. The result was a bit too saturated for my tastes so I toned it down with a khaki glaze; if I mix it up again I will aim for a duller and more grey color. The other two colors are the usual dull dark green and brown. Overall, the Fine Molds kit is superb and a pleasure to build. I finished it in a small vignette scene using one of the old Dynasty Japanese tank commander figures and a small scratch-built structure.